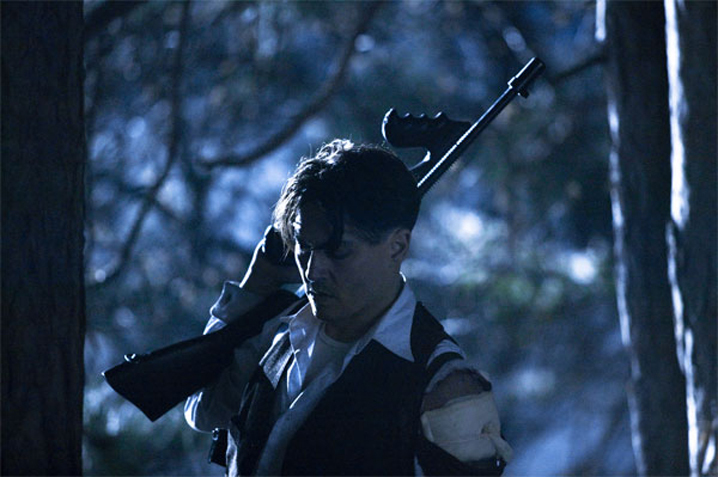 Click the image of Johnny Depp as John Dillinger to watch the trailer for Michael Mann's new film in all its digital glory. Due out this summer, to our rapidly increasing excitement. Yup. You know I’m, wuddyacallit, pumped. Trailer gave away all the story for me, even if the story’s already known. Damn Universal! Yeah, they did give away a lot, but they avoided showing most of the soon to legendary ending sequence at the lodge. And what about the last low angle shot of Bale unloading a tommy gun one handed! Hot damn! Enough, I had to shut it off after about a minute! If they’re enticing people to see their film they shouldn’t give it all away in the trailers. I’ve been disciplined about not watching them up until- damn it Danny! Although I thank you for reminding us of upcoming films. its like they tried as hard as they could to avoid a film look, so very digital. very displeasing to the eyes, almost looks like a big budget independent. Right on Stephen! The same could be said about Mann’s MIAMI VICE. Gotta give him props for that, I think. It worked there, the question here is whether it will work in a period picture.